This year marks the 100th anniversary of the Battle of Verdun. The campaign lasted for ten months, and was one of the largest battles of WWI. Fought on the Western Front, in the hills north of Verdun-sur-Meuse, this battle between Germany and France was costly. 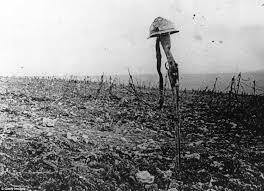 The two sides suffered combined casualties and losses of over one million men. German General Erich von Falkenheyn initiated the fight in an effort to decimate as many of the French troops as possible. He led his forces to take over Fort Douaumont and Fort Vaux, but was unable to advance to the Verdun cathedral. His plan made sense but was ambitious. His ultimate failure was that he underestimated the French, assuming they'd be an easy target. Despite the poor morale of the French soldiers (there was talk of mutiny for many reasons - including the fact that factory workers earned significantly more salary than military troops), the men stayed and continued to fight. The Battle of Somme commenced during June, pulling the Germans into a second front. Von Falkenheyn was relieved of his command, and, the French reclaimed their forts by December of that year. When I think of forts, images of impenetrable, stone-walls that reach into the sky, often from cliffs and other high places, come to mind. 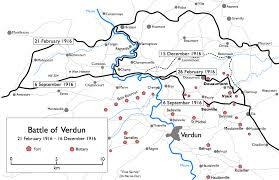 Verdun, however, was a city protected by a ring of underground forts. There were twenty major forts, and almost forty smaller forts. The Germans thought that Verdun held great historical significance to the French, and would therefore "fight to the last man," according to von Falkenheyn. He thought that if enough French soldiers were killed, Germany would emerge the ultimate victor. Twenty-five years later, the Germans would again underestimate their foe. The London Blitz lasted for nine months. Hitler was sure that fear would overtake the English, and they would demand their government surrender on their behalf. It never happened, and England was able to defeat Germany with the help of other Allied countries.